Is There Such Thing As Inexpensive Life Insurance? We live in a world of knowledge is power, with internet we can explore and glean information that are difficult to get in some fields, but to find out the truth is also very important. If you watch television you can see advertisements that give good offer, or supermarket having clearance sale, people queued for hours to shop there, in the end they thought they bought something cheap, but the parking fee and petrol expenses and time spent, did all these covered up? If you bought one or two items that were five dollars cheaper, do you think that worth the effort? The same thing goes to buying life insurance, is there such thing as inexpensive life insurance. There are some policies have lower premium than others, but do you want to buy something that don?t benefit you or you rather pay more money to buy something that benefit you a lot more? I would rather choose the latter than the former, simply because I want my money worth paying. As the saying goes, there is no free lunch; we don't get something for nothing. When we search for inexpensive life insurance, the online life insurance free quote services will ask the applicant some questions, such as age, record of diseases, whether he is a smoker or he has any bad habit like alcoholic consumption. Further more does he engage in risky occupation? These questions are asked to determine the buyer's premium. For example the younger the better health, non smoker and those who do not have bad habit of alcoholic drinking would result in lesser chances of contracting fatal diseases, and therefore they benefit lower premium. Elder people definitely pay more on premium because they have a shorter time to have their policy matured. People engaged in risky occupation and hobbies such as lumberman, pilot, construction laborer and many others are subject to higher risk, therefore their premiums are higher than non-risky workers. Hence, to obtain an inexpensive life insurance is to purchase a policy when a person is young, cease smoking, don?t be a dipsomaniac and engage in healthy activities. You cannot have a piece of cake and eat it too, how can you obtain inexpensive life insurance if you are a smoker, an obstinate drinker, or you buy your life insurance when you are old and with poor health. 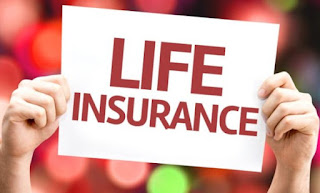 Whole life has a higher premium than term life insurance, but this policy provides the buyer more benefits, it is advisable to purchase a policy that benefits you than you pay less and buy a policy that do not meet your need. I would like to make a conclusion here, it is axiomatic that there is no inexpensive life insurance, the above mentioned are essential for you to obtain a lower premium if you want to purchase a life insurance.